Yes, they really do taste like cotton candy. 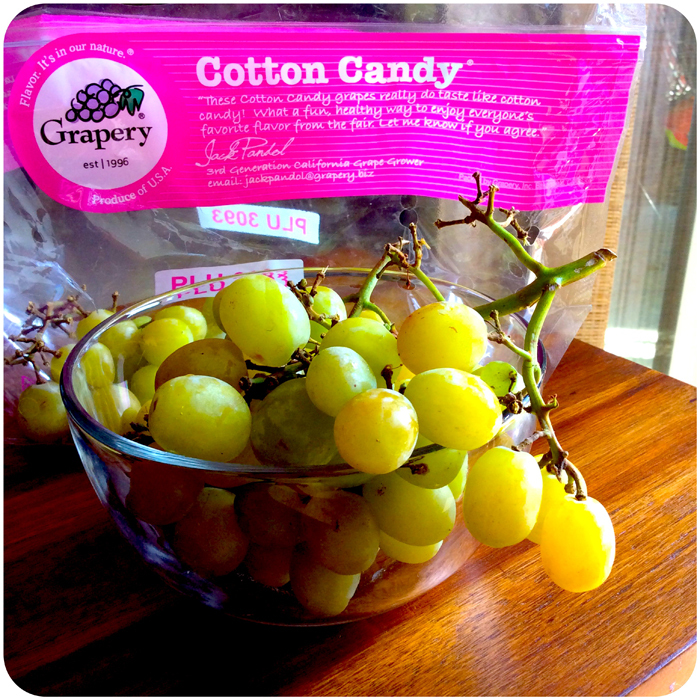 The sweetest, most delectable grapes I have every tasted. Where did I find these sugary little jewels, you ask? Why, Central Market of course. They lured me in last year with a sample… walked around the store letting people try them. But they sold out before I could purchase a bag. Last night I walked in to the grocery department and there they were… I grabbed one of the few remaining bags and couldn’t resist popping a few in my mouth before I got them home. I haven’t finished off the bag yet (but will soon!) and am already counting the days until next season. They’ve only been on the market since 2011… Have you ever experienced this yumminess? Learn more about them in this NPR story. My favorites are the frogs. I adore them. They sang me to sleep each night, and their random croaks always made break out into giggles. 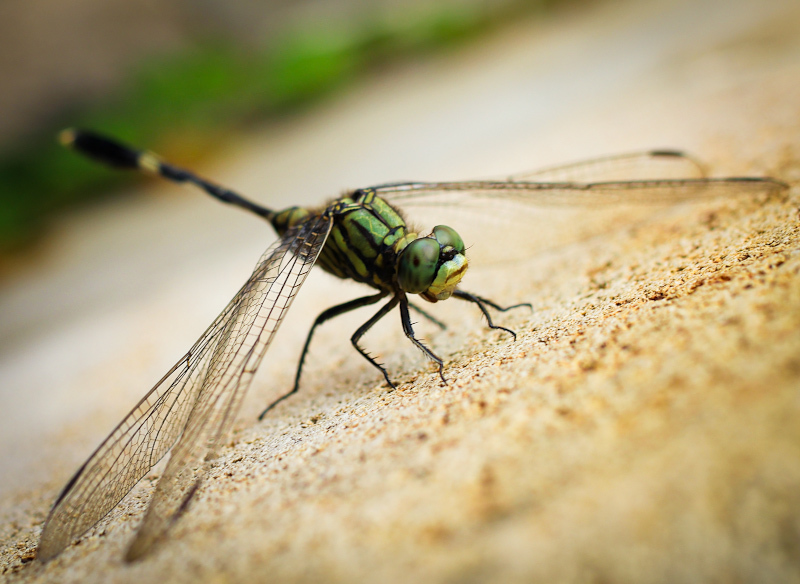 We’d spot them on the steps, in pots, on leaves in the garden – and on the windows every evening. Aysia would dance and point whenever she saw one. 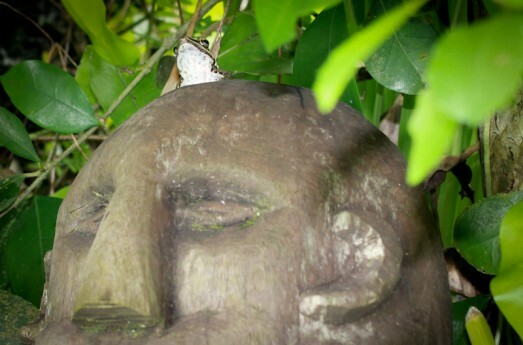 Ashley spotted this guy on one of the carved heads overlooking the swimming pool. 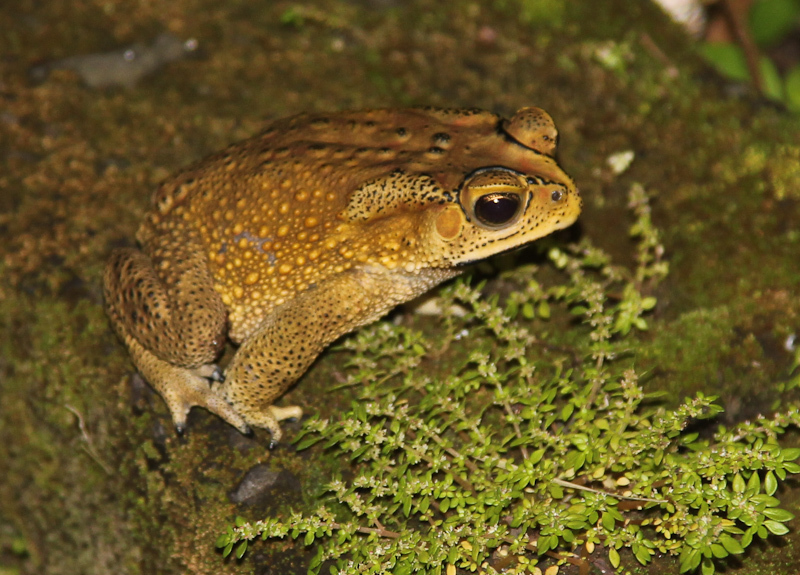 Long live the frog king! They’re just really cute. 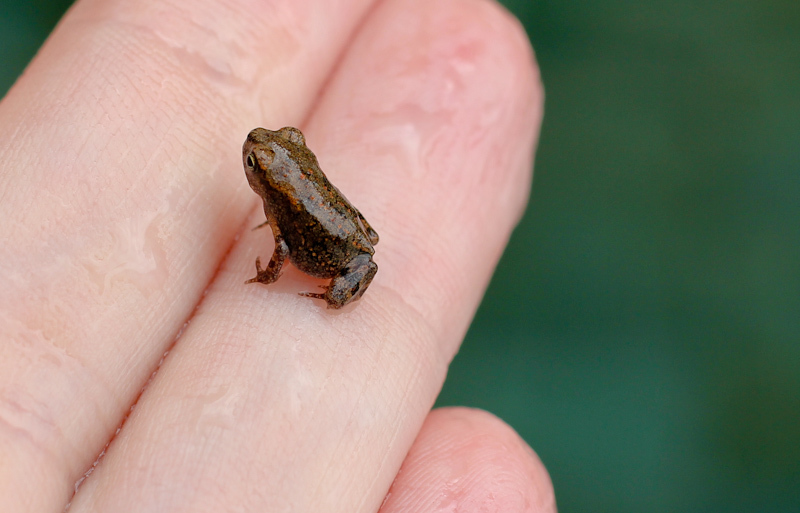 Especially this tiny guy, who joined me in the swimming pool. 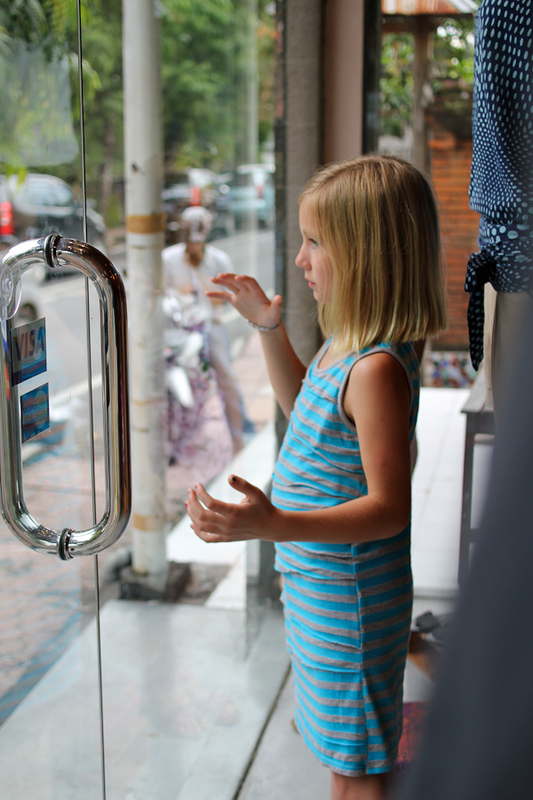 While doing a little shopping in Ubud, Bali last week, Emily, Kennedy & Marie got a bit bored and restless. I made what turned out to be a brilliant suggestion: stand in the window and act like mannequins, being as still and quiet as possible. They were delighted and took this charge very seriously – much to the curiosity and amusement (and sometimes amazement) of passersby… many of whom stopped to snap photos. 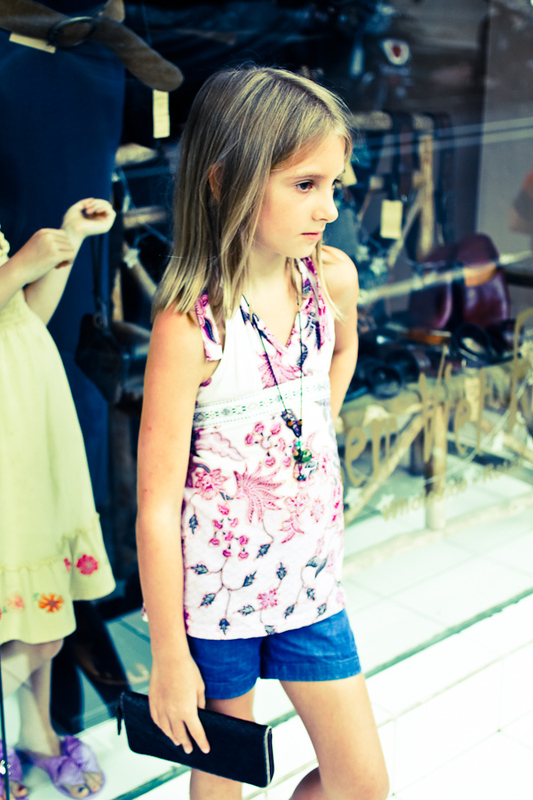 At the second shop, there was a small ledge outside where the girls could stand and pose above the sidewalk. Kennedy persuaded the shopkeeper to allow them to model some of her clutches. 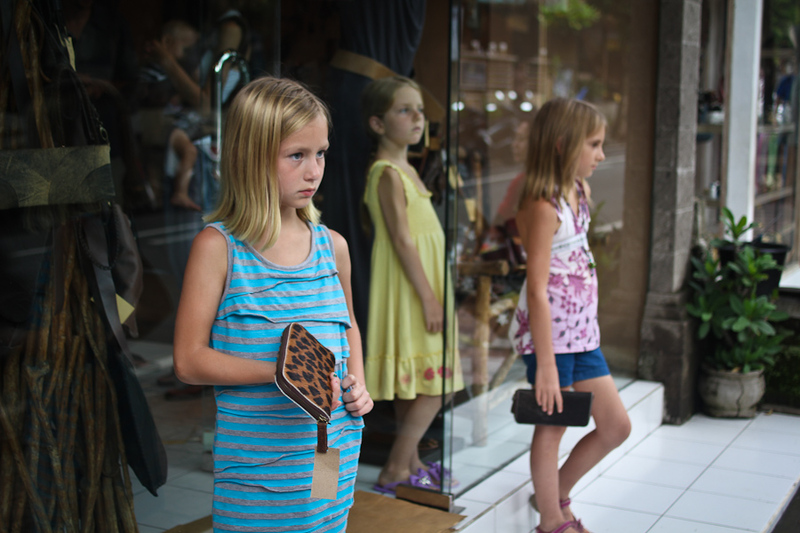 What do you think – do they have a future in modeling or as mannequins? 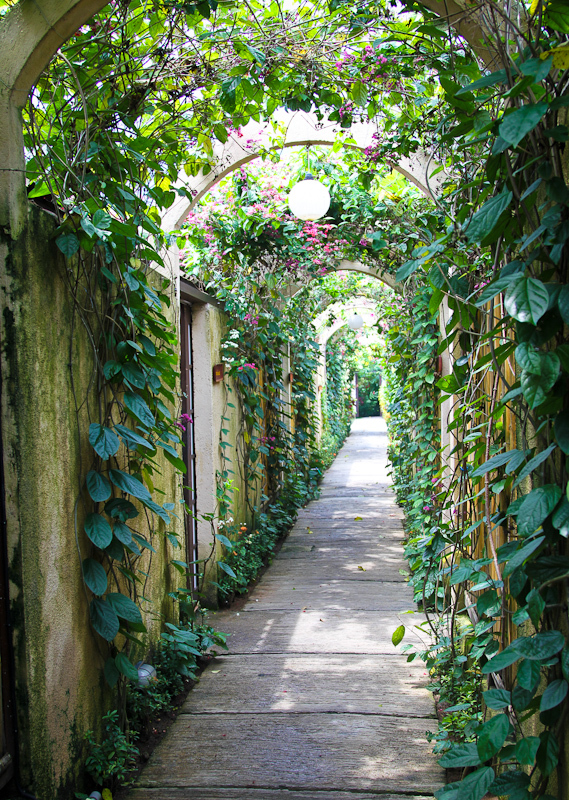 Bali is a wondrous place… especially if you’re into pampering and massage. A fabulous local massage therapist makes house calls and charges 150,000 Rp (about $16) per hour. I enjoyed a reflexology session last week. 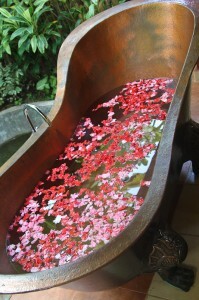 For Christmas, my kids decided to treat me to a pampering spa experience, and selected Sedona Spa in Ubud. Brandon dropped me off this morning and I was led through this flower-covered arched path to my private room – the Gardenia. I was in heaven even before I got on the table. 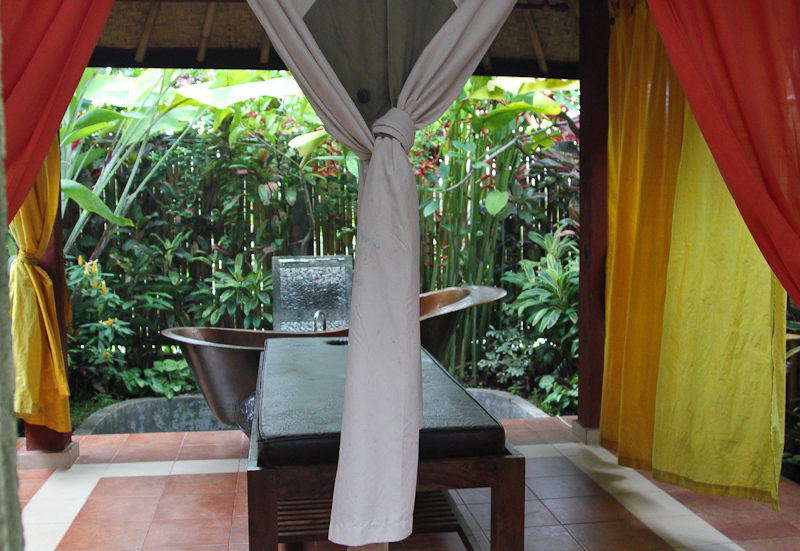 While water gurgled, birds sang and meditative music played in the background, I received an incredible one hour massage. This was followed by a stimulating coconut body scrub… and then a coconut milk body mask. 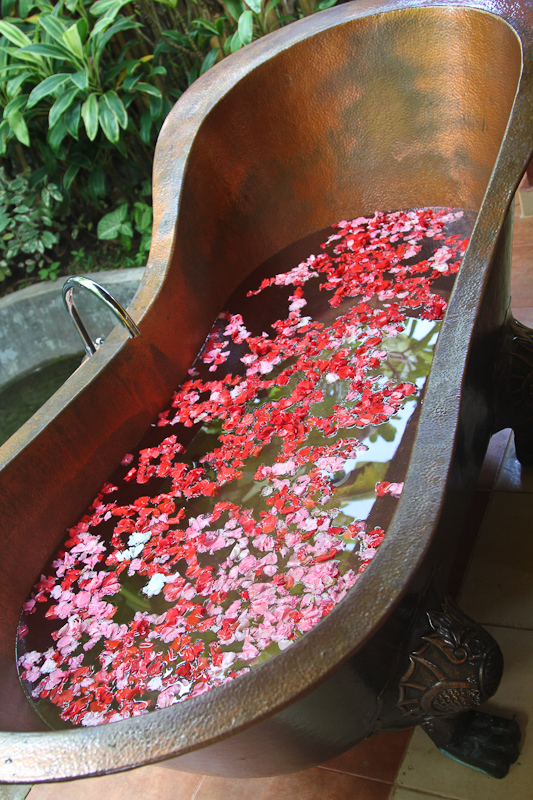 As I showered off the scrub, my attentive Balinese therapist was preparing my flower bath (she was a little surprised when I asked for cool water, not warm) – along with fresh ginger tea and a fruit plate to enjoy. I generally I prefer showers to bathing. 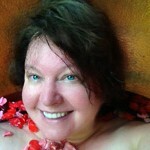 I find I get bored soaking in hot water – and most tubs are rather uncomfortable for me. But this was an experience and a half, and one I’d like to have again. 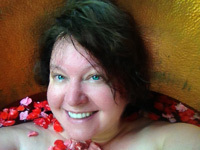 The deep tub was so comfortable, the water cool and refreshing on a hot Balinese day – and the luxury of bathing with flower petals made me feel like a goddess. And because my facial skin is so sensitive I opted out of the facial and asked for a foot massage instead… and it was a good choice. He accompanied me to the shampoo bowl and back, so my feet and legs were being nearly continually massaged for another 45 minutes. Oh happy, happy feet. A manicure and pedicure topped off the treatment and I felt like a brand new woman. And by now, the hot sun had made way to a thunderstorm which nicely cooled things down a bit. Any guesses? If you guessed $300 you’re wrong. But that would easily be what you’d pay for an equivalent treatment in the states or Europe. $200 you say? Wrong again. $100? Nope. The grand total was approximately $50 US for 4 hours of heaven. If you don’t count the $1800 airfare to get here, that’s a bargain. Even WITH the airfare it’s a bargain – and one I’ll take advantage of again. Thanks Brandon, Jennifer & Ashley. I absolutely loved my gift. Next time, let’s all go together! Spending the holidays in Bali with all my progeny… we wrote this little ditty on our drive home from White Sands Beach yesterday (our Christmas day). Enjoy! Since moving to the beautiful northwest, I have few reasons to return to the extreme cold, heat and desert of Salt Lake City. There are some good reasons, mind you, including people (my daughter, granddaughter, mom and a few friends), a couple of restaurants (Cafe Rio, Asian Star) a french bakery (Glaus) and Xpedx. But today I have one less reason. I love Xpedx in Salt Lake City. I never pass up an opportunity to stop and shop from its cavernous offerings of paper, shipping supplies, ribbons, gift boxes & bags, bolts of wrapping paper, plastic serving ware and more – all very reasonably priced. I’ve never been in another store like it. 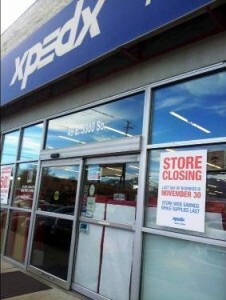 Today I received the sad, sad news that Xpedx is closing its doors of the flagship store (Salt Lake) this week – Friday is their last day. I am so sad, and now have one less reason to visit Salt Lake. The only stores offering anything close to what Xpedx has are “me-too” paper and craft stores for scrapbookers. No thank you… I’ll save time and shop online. R.I.P Xpedx SLC. You will be missed (by me, anyway). It feels like it has been too long since I’ve posted. I have begun (but not completed) several posts, including the anticipation I was feeling when my garden started to show signs of life. Then the glory of its full bloom, which has now faded. A visit from Ashley & Kennedy. A visit TO Ashley & Kennedy. 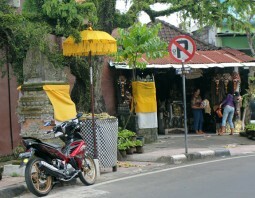 And I still have pictures and comments from Bali to share. Absolutely delicious salad – easy to prepare, but sure to be a hit where ever you serve it. Combine dressing ingredients in a jar with a tight-fitting lid and shake until blended. Break the noodles into small pieces, discarding the flavor packet. I use a food processor with just a few chops to break them up. Brown the the noodles and pecans in the butter in a skillet. Drain on paper towels and let stand until cool. When cool, combine noodles & pecans with the broccoli, romaine and green onions in a salad bowl and mix gently. Right before serving, add 1 cup or more of the dressing, tossing to coat. Number Of Servings:10 – 12 when served as a side. 4 – 6 when served as main course. Normally a crime drama girl (NCIS, Criminal Minds, the Mentalist, In Plain Sight) with a little humor thrown in (Psych) or SciFi (waiting for a new Dr. Who season…) I have a new favorite TV show… a musical drama called SMASH! I know I’m a bit late to the game here, since the season ended a couple of weeks ago. But I recorded it on my dvr and just finished watching the last episode and wow – love this show! Premise is about the writing, producing, casting and creating of a new Broadway musical about the life of Marilyn Monroe. Fantastic cast, interesting characters, fabulous music – heroes, villains, starlets… it’s got it all. I can’t wait til next season to begin as they take the new show to Broadway. 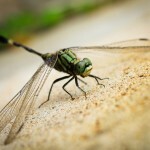 My friend, Paul, wrote a blog post recently of how he wastes spends his time playing games on his iPad. 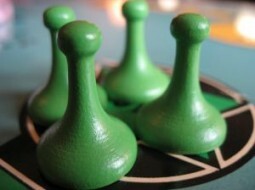 It got me thinking… Growing up, I loved our family game nights: Sorry, Pit, Uno and, of course, Nertz. We played Nertz pretty fast at our house, but Nertz at Michelle’s was a serious, frenzied, “take no prisoners” affair. Then came Scrabble, Risk, Trivial Pursuit and Pictionary. And eventually computer games like the classic Kings Quest. 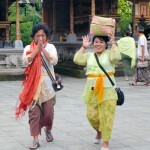 Balinese practice their own unique form of Hinduism. There are over 11,000 temples and more than a million Hindu shrines on the island. My son Brandon will be writing a bit about this on his blog soon. We expressed an interest in learning more about the rituals and meanings that are such an integral part of Balinese daily life – and so the language school arranged something very special for us. Along with our tutor, Daniel, to translate, we were going to not only observe, but participate in the Melukat ritual. We had no idea what that was, or what we’d be doing, but we were excited. Appropriate attire (sarong, belt and sleeved shirt) is required within the temple, and our wonderful staff shared their own sarongs, belts and a beautiful kebaya (top) for Jennifer to wear. We were told to bring a change of clothing, since we may be getting wet.